It’s time to get on board and become an active voice in the social media world. With a growing disconnect between consumers and the sources of their food, it has never been more important for folks involved in agriculture to reach out and tell their story. Agriculture is under assault by well organized people with access to a lot of money, what they don’t have is a truthful voice. Be that voice, stand up for agriculture and America’s family farmers today! And since you have already found our blog, take a look at South Dakota Corn on Facebook, Twitter, Flickr and YouTube. 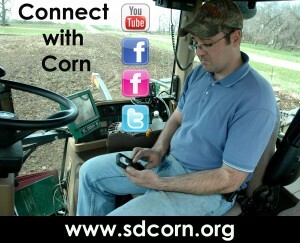 This entry was posted in Corn Comments Podcast and tagged Facebook, farm, social media, South Dakota Corn, Twitter.